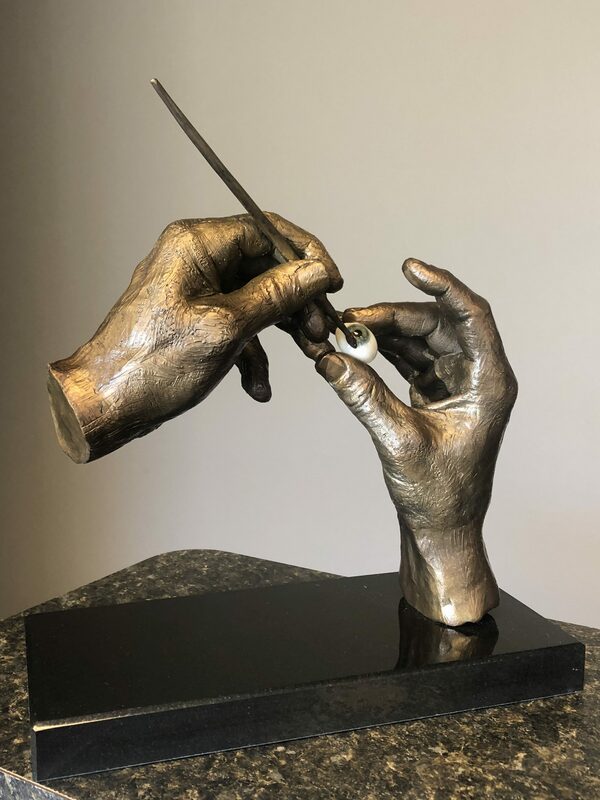 Ronnie’s husband Ken is a dental specialist, and the foundry combined the love of both professions to create a lasting sculpture. 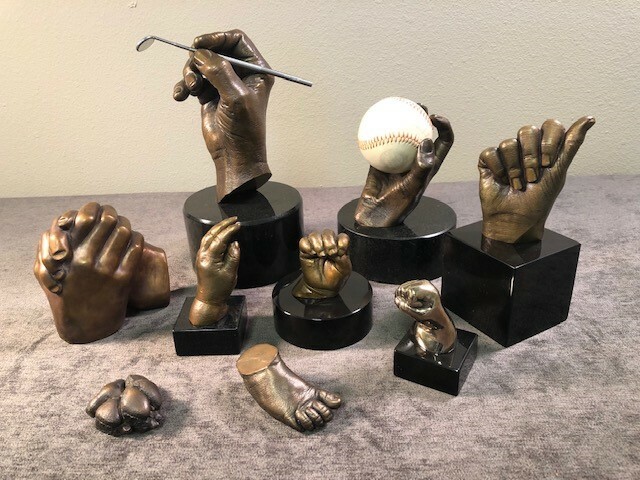 For example, we take dental impressions of a baby’s hand or foot then replicate it in bronze for a “living sculpture” capturing the moment. We have expanded Whole Lotta Love to include older children, adults, professionals, and pets. 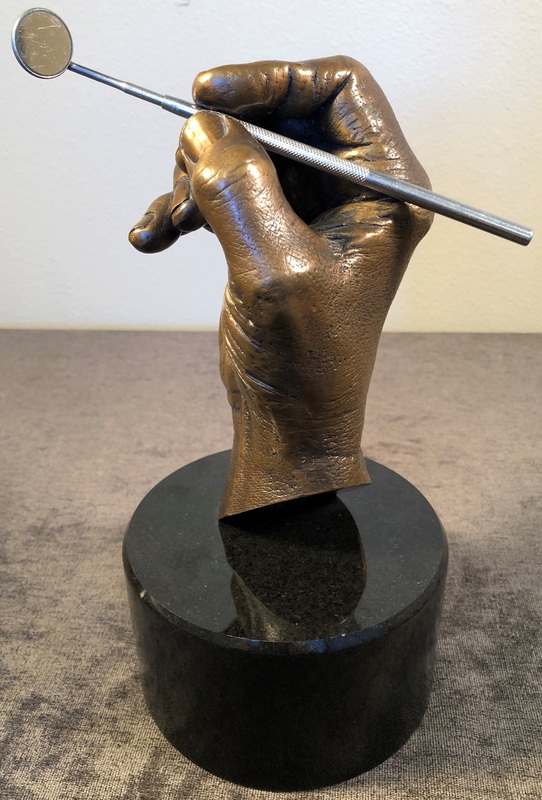 Each “sculpture” is hand engraved and mounted for a beautiful display. This series includes children from infancy to age 12. With older children, more variations are possible such as hands being held together, “praying hands”, “sporting hands” such as a hand gripping a baseball. Above age 5, we limit to hands only, and we welcome any individual requests. This series may include one hand or the hands of a couple holding hands such as “the anniversary hands”. The “family hands” may include the hands of one or both parents and their children holding hands. In this series, many doctors may elect to furnish us with an appropriate instrument for their field that will be held by the hand of the doctor. An attorney, for example, may elect to hold a writing instrument such as a pen. The hands can be displayed in the office. This series is perfect for the pet lover. 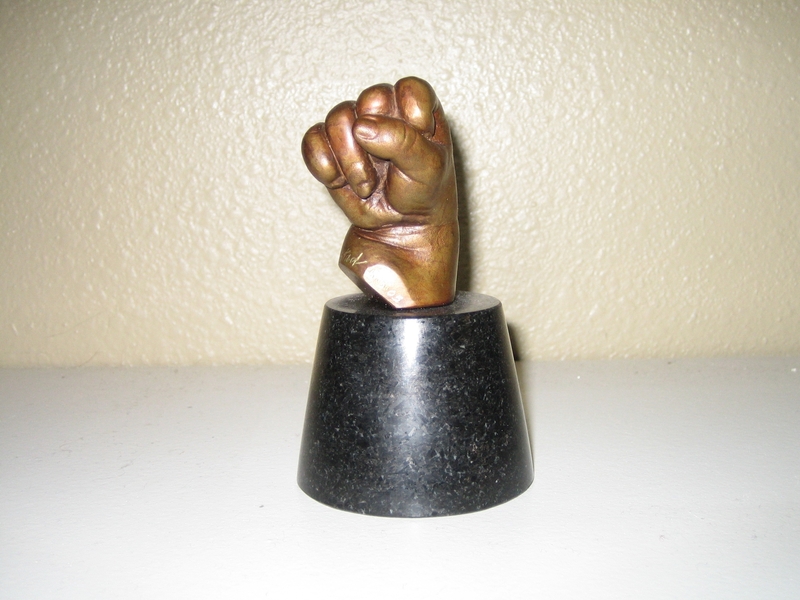 Many owners have preserved a beloved dog or cat paw impression in bronze to keep forever. 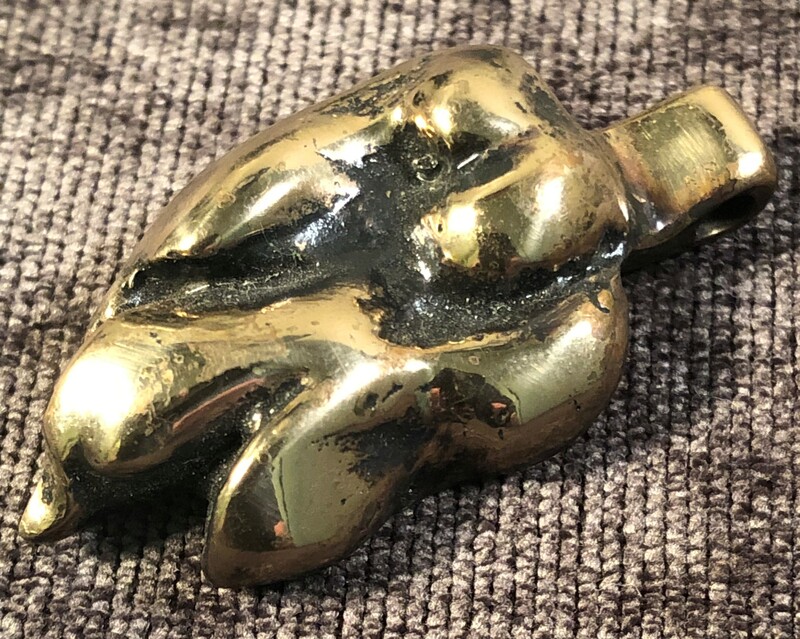 The bronze paw of a small dog can be high polished and made into a pendant or necklace. Many parents have ordered a second set of their children’s hand or foot to present to the grandparents—we will directly ship for you anywhere in the United States. Please call the foundry to appoint for an impression at (916) 929-5225.